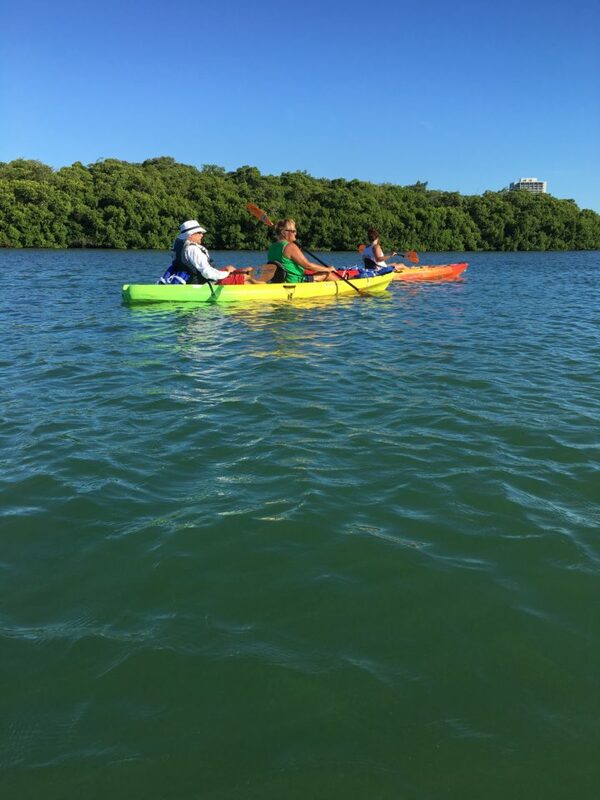 Last year I blogged about how my family went kayaking on our summer vacation and how I was bummed (stupid was the word used) because I didn’t go with them. Well we just returned from a kayak outing and I must confess it was a huge mistake. Don’t get me wrong, I saw cool stuff. We went through mangrove tunnels and across some grass flats. It was peaceful. Well, peaceful for everyone except me. The constant motion wreaked havoc on my (limited) sense of balance. The seat on a kayak is not comfortable. Especially when you have had your hip rebuilt and you can feel the metal rods because of the angle of said seat. And let’s not forget that you are sitting on hard plastic. It was 3 hours of hell. There is one big positive though. The hundreds of pull ups I’ve done over the last few months made the paddling a piece of cake! While out on the water I realized that I had spent a year wishing to be able to do something cool instead of focusing on the cool things I normally do. So next year my family will go kayaking and that’ll be the morning I go fly fishing, in some of the creeks and canals down here, for tarpon or snook. As crazy as it sounds, I’m glad I went kayaking. I’ve got enough data to determine that it is not for me. I will stick to my strengths. I’m going to a fly tying event Thursday evening at a local fly shop down here. Way cooler than kayaking!